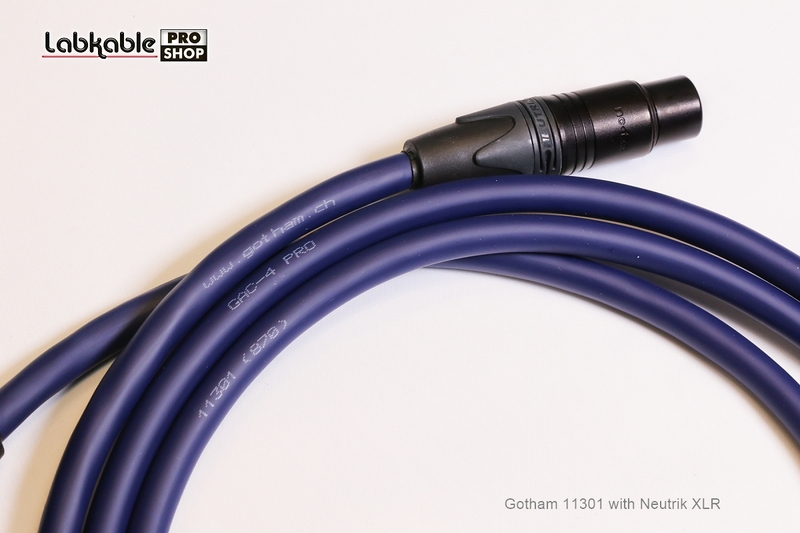 Gotham "Star-Quad" cables are the most advanced microphone cables presently available. We have combined an ultra flexible PVC-jacket, low capacitive PE insulation, "double Reussen shielding" and quad (4-conductor) construction for a truly professional cable at an affordable price. The "Star-Quad" concept is known and recommended where the RF-rejection is the most important factor and where very long cable runs are needed. 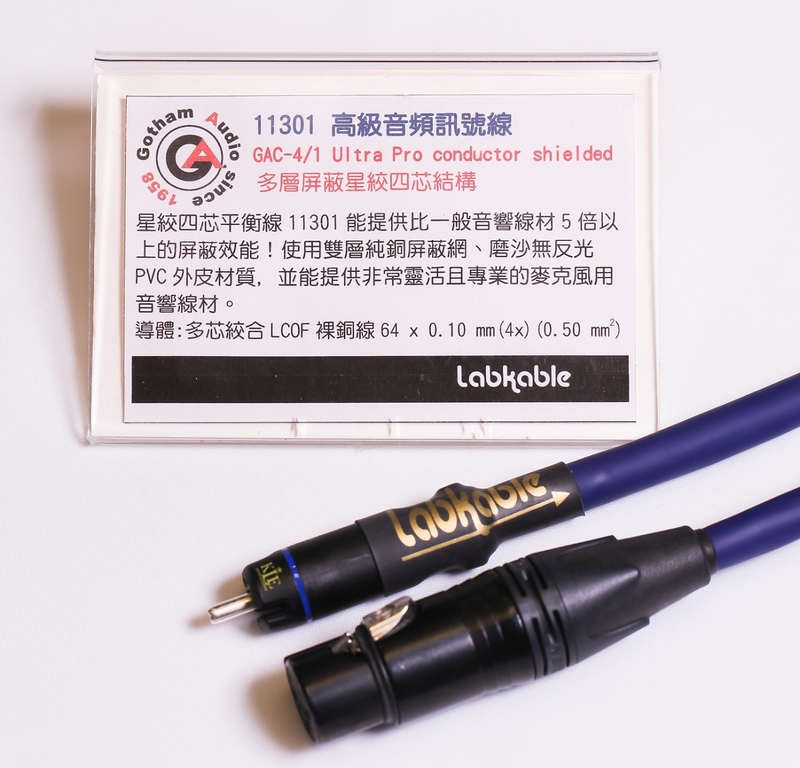 As we use each 2 conductors for low and high signal, we reduce the signal loss by 50% and due to the offset of the incoming RF-signal by the way the 4 conductors are twisted, the RF-rejection is over 130dB (25 kHz). The exclusive double shielding does its part of these features as well. Now we have further added another protection feature to the construction for ultimative shielding and/or2 Channels (Stereo) balanced usage! 11301 is a starquad balanced single channel 5 times shielded audio cable! Ultra flexible professional audio cable for microphones. 'Double Reussen shield', velvet matte non-light reflecting PVC-jacket material. A unique construction new invented by Gotham design. Each of the 4 conductor is shielded with a lap shield 100% covering copper wires (7) (Reussen shield) plus a conductive separation lawyer (6) (Aluminium coated Poyester ). This conductor is twisted in star shape around conductor nr 2/3/4 and turn ist holded in place with another aluminium coated lawyer (4), followed by Gotham's unique double Reussen shield. This cable is absolutely uncompromised to achieve maximum shielding possible while the flexibility and durability is still very good and the cable can be used in mobile applications as well. One can also use the cable as a 2 channel balanced cable giving still perfect crosstalk and shielding of each channel!